HMB, technically named “beta-hydroxy beta-methylbutyrate” is a metabolite of the essential amino acid leucine. 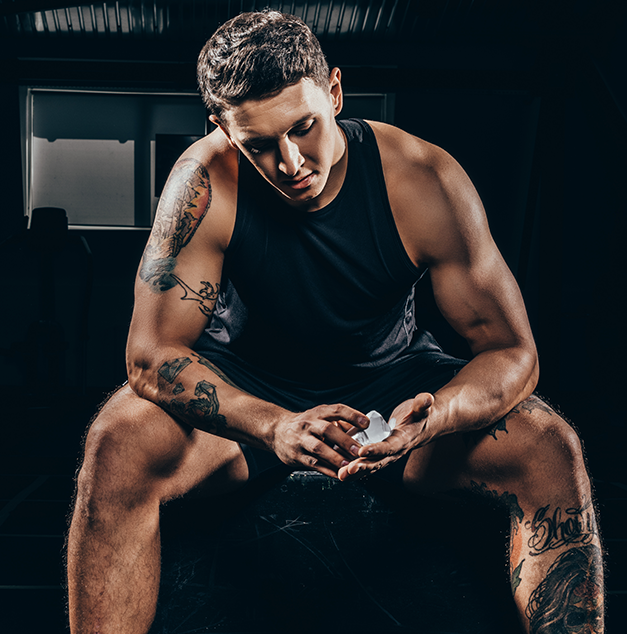 HMB is very well studied and there have been numerous scientific publications that show it has anabolic, lipolytic and recovery boosting effects. In fact, the evidence supporting HMB is so strong that its benefits are as well documented as creatine. Where Does HMB Come From? HMB is naturally synthesised within the body from the amino acid leucine. Although leucine is a branched chain amino acid (BCAA) valuable for bodybuilding, the conversion of leucine to HMB extremely inefficient. It is necessary to consume 60 g leucine to net 3 g HMB (Wilson et al, 2008). Consequently, it is extremely difficult to obtain 3 g HMB from diet alone. HMB naturally occurs in small concentrations in citrus fruits and cat fish. However, these concentrations are inadequate for boosting performance. HMB can also be found in protein rich foods such as chicken, beef and fish, leucine is typically plentiful in the average person’s diet. HMB, however, is found in miniscule amounts. HMB has been gaining recognition within the bodybuilding scene in the 1990s, HMB has continued to increase in popularity well into the millennium. It is not hard to see why when examining the benefits. First implemented by farmers to raise leaner cattle, HMB was soon adopted for human use once the benefits became clear. HMB assists in increasing lean body mass and strength, to Decrease Body Fat & muscle membrane damage plus prevent muscle catabolism1. In short, it keeps the body in an anabolic state for longer, thus decreasing muscle breakdown and speeding up muscle repair, which leads to a gain in lean muscle and strength. Bodybuilders aren’t the only beneficiaries. Athletes such as runners and cyclists who don’t necessarily want to Gain Weight will see an increase in V02 max (maximal oxygen consumption) – endurance capacity. Studies dating back to the 1950s have also revealed that HMB plays an important role in cholesterol synthesis, resulting in lower blood cholesterol. Results are able to be seen within 2 to 4 weeks. One recent study showed that athletes supplementing with 3 grams of HMB daily for 3 weeks gained three times more lean body mass and experienced strength increases two and a half times greater, than test individuals using the same Training Program who supplemented with a placebo2. More importantly, it has been hypothesised that HMB works by stabilising the cell membrane of muscle cells and/or reducing protein catabolism pathways (Wilson et al, 2008). Basically, it appears to have a protective effect on muscle tissue. It has been found that HMB supplementation is able to increase the strength of untrained men proportional to dosage (3 g/day giving the best results). The supplemented participants increased their one rep max bench press by 300% more than unsupplemented people (Nissen et al, 1996a). Another study found that although one rep max values did not increase from HMB, the supplement was successful in increasing the maximum pulling force of muscles (Gallagher et al, 2000). These effects also seem to stack with the benefits of creatine (Jowko, 2001). The effect of HMB on increasing strength has also been shown in trained athletes, giving an increase of 55% over unsupplemented athletes (Nissen, 1996b; Panton et al, 2000). It has been found that after three weeks of HMB supplementation in conjunction with weight training, untrained subjects were able to put 300% more lean mass than the unsupplmented group (Nissen et al, 1996a). Findings such as this have been supported by other researchers (Gallagher et al, 2000; Jowko, 2001). Likewise, with strength gains, the effect of HMB works in complement with creatine (Jowko, 2001). Again, gains have been observed among both the trained and untrained (Nissen, 1996b; Panton et al, 2000). In all the above mentioned studies where lean gains were present, fat loss from HMB supplementation were found to be significantly higher compared to unsupplemented groups. Additionally, in people with high cholesterol, HMB supplementation has been found to be effective in lowering bad LDL and total cholesterol (Nissen, 2000). Another benefit of HMB is its ability to reduce muscle damage and protein degeneration as a result of exercise (Nissen et al, 1996a; Gallagher et al, 2000). Consequently, this may result in improvements in recovery time and reductions in delayed onset muscle soreness (DOMS), which has been confirmed in a study among supplemented individuals (Van Someren, 2005). From the above effects of HMB, it can be seen that this compound may be of great value to bodybuilders and those wishing to lose weight. HMB has been well documented to be able to increase muscle mass, decrease fat mass, and speed up recovery time when used in conjunction with weight training. All these properties may help them you get bigger and leaner quicker. Additionally, it helps to prevent heart disease by reducing cholesterol. If you're new to lifting or bodybuilding, HMB is definitely one of the supplements you should consider. There have been some suggestions that the effects of HMB are amplified, and more rapid among novices and nontrained individuals compared to more experienced athletes. The reason for this is possibly because nontrained individuals experience more muscle damage from exercise compared to their more experienced counterparts (Wilson et al, 2008). Thus, HMB is more able to work its magic in protecting from muscle damage. HMB is a product of normal metabolism, it is water soluble, and an excess can be excreted in the urine. Its safety has been evaluated in many studies, which showed that the consumption of 3 to 6 g/day over several months showed no side effects. Studies with animals consuming huge amounts of HMB (up to the equivalent of 450 g/day for a 90 kg man), for up to 16 weeks, also showed no harmful effects (Wilson et al, 2008). If anything, the only reported effect of HMB on health has been positive. It has been recommended by numerous studies that a dose of 3 g/day (as 1 g portions, three times per day) was most beneficial. Studies with people consuming 6 g/day showed no added benefits (Gallagher et al, 2000). Furthermore, certain clinical results have concluded that only 5% of leucine is converted into HMB, meaning that 20 to 50 grams of leucine would need to be consumed daily in order to reach gram levels of HMB – an extremely unrealistic, not to mention unhealthy, goal. While daily consumption of HMB in gram levels is by no means essential, scientific studies have revealed numerous positive side effects, with no negatives in sight. Additionally, HMB has a relatively short half-life in the blood so it is normally either prescribed in small doses or split throughout the day. 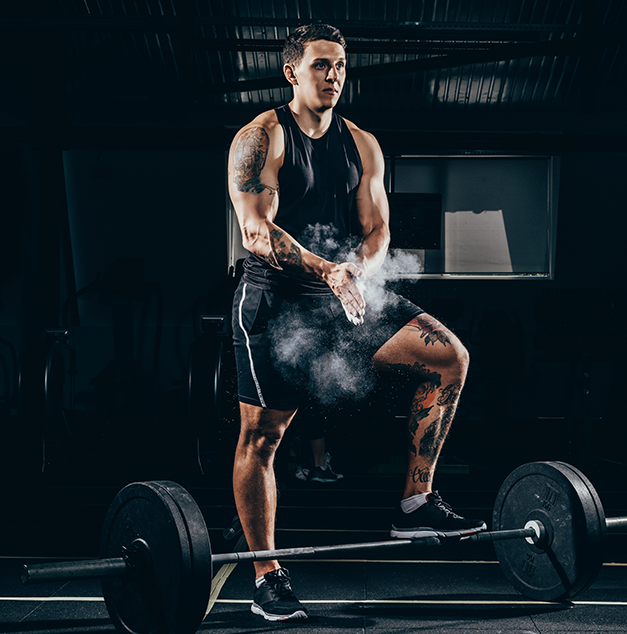 The potential for HMB supplementation to enhance strength training adaptations appears to be small in untrained individuals and negligible in trained athletes. Given that the protein synthetic response is much more sensitive to nutrition interventions than protein breakdown, trainers are advised to focus on proven strategies such as post-exercise ingestion of high biological value proteins rich in leucine to maximise adaptation to the resistance training stimulus. HMB should not be consumed in individual dosages of more than 1 gram. For example, someone taking 3 grams of HMB per day should split this into 3 dosages of 1 gram each. HMB stacks extremely well with creatine as well as other aminos including beta-alanine, BCAA's & l-glutamine. It can also be stacked with whey protein and most other supplements. Nissen et al (1996b), Effect of β-hydroxy- β -methylbutyrate (HMB) supplementation on strength and body composition of trained and untrained males undergo-ing intense resistance training. FASEB J 1996, 10:287.